Using comparative bar charts, I’ve analyzed the economic policies of Presidents Barack Obama, George W. Bush, Bill Clinton, Ronald Reagan, and Richard Nixon. My basic conclusion was that economic policy moved in the right direction under Reagan and Clinton and moved in the wrong direction under Obama, Bush, and Nixon. Though I always included the caveat that I was agnostic about whether the various presidents deserved credit/blame for the changes that happened during their tenure. Now let’s go back in time and look at the unambiguously awful economic record of Herbert Hoover. 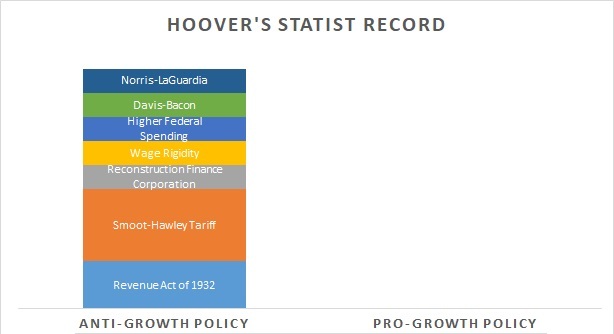 I’ve written about Hoover’s statism on several occasions and thought there was no need for an overall assessment since there was near-unanimous agreement that he was a failure (even if some people don’t understand why). But near-unanimous is not the same as unanimous. And I was horrified to read that David Frum actually thinks Herbert Hoover should be some sort of role model for today’s Republicans. Here are some excerpts from his Atlantic column, which looks at a new biography of Hoover. Hoover commenced his political life as a progressive-leaning Republican. …progressives like Hoover…accepted some increased government regulation of industry…endorsed heavier taxation of inheritances. …it’s possible to imagine a Hoover presidency that signed into law some kind of Social Security system… Hoover’s old party could learn things from his impressive career of public service. …Hoover’s astounding accomplishments and generous impulses have been effaced by polemical narratives written to serve polemical political purposes. Such distortions are offenses against historical memory. Before we look at his economic policies, I should acknowledge that Frum makes a compelling argument that Hoover was a fundamentally good person with some impressive achievements both before and after his time in the Oval Office. But my presidential economic scorecards are very dispassionate. I’m only looking at the changes in economic policy that occurred while a president was in office. And by that very neutral benchmark, Hoover was terrible. Nothing but bad policy. I give extra weight to the protectionist Smoot-Hawley legislation, which surely must rank among the worst bills ever enacted. 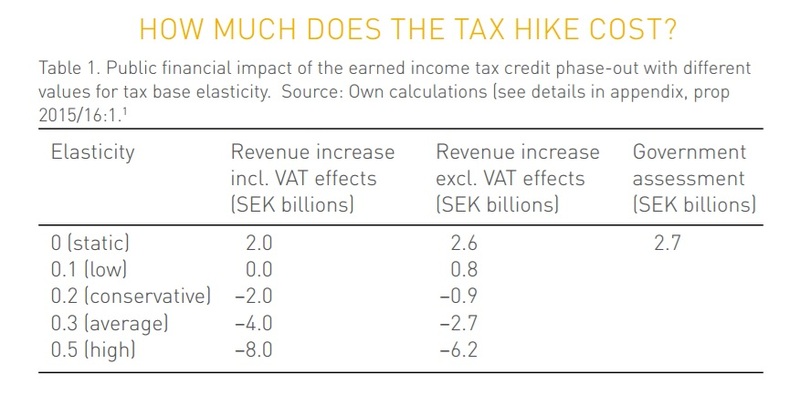 The tax hike in 1932 also gets some extra weight because of the radical increase in marginal tax rates (the top rate was increased from 25 percent to 63 percent!). By the way, this assessment (like all my previous assessments) only includes policies that were adopted. If I included policies that should have been adopted (sins of omission rather than sins of commission), Hoover would get severely dinged for his failure to prevent a severe contraction of the money supply by the Federal Reserve (those interested in such issues should watch this George Selgin video and read this George Selgin article for more information). And if you want more information on Hoover’s record, I strongly recommend this article by my buddy from grad school, Steve Horwitz. As president from 1929 to 1933, his ambitious programs were overwhelmed by the Great Depression, which seemed to get worse every year despite the increasingly large-scale interventions he made in the economy. But it is grossly inaccurate because it says that the economy got worse “despite” that intervention rather than “because of” that intervention. There’s one other blurb that is worth sharing, just in case anyone thinks that I’m unfairly characterizing Hoover as a statist. I’ll close by recycling a Center for Freedom and Prosperity video that reviews the anti-market policies of Herbert Hoover and Franklin Roosevelt. P.S. I heartily encourage this cartoon for anyone who wants an easy way of understanding public policy and the Great Depression. P.P.S. Looking at presidents from the 20th century, Ronald Reagan and Calvin Coolidge stand head and shoulders above all the others when looking at economic policy, though I’ve never tried to figure out which one is best. Similarly, I haven’t figured out who deserves the “prize” for being the worst president, but I have decided that Hoover, FDR, Wilson, and Nixon are the Four Horsemen of the Economic Apocalypse. 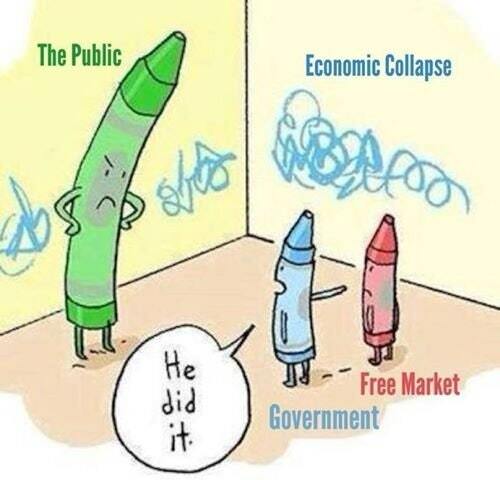 I’ve explained on many occasions that Franklin Roosevelt’s New Deal was bad news for the economy. 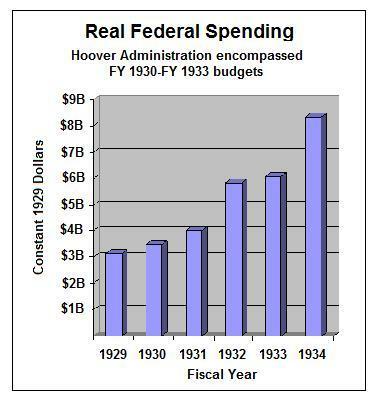 And the same can be said of Herbert Hoover’s policies, since he also expanded the burden of federal spending, raised tax rates, and increased government intervention. So when I was specifically asked to take part in a symposium on Barack Obama, Franklin Roosevelt, and the New Deal, I quickly said yes. I was asked to respond to this question: “Was that an FDR-Sized Stimulus?” Here’s some of what I wrote. President Obama probably wants to be another FDR, and his policies share an ideological kinship with those that were imposed during the New Deal. But there’s really no comparing the 1930s and today. And that’s a good thing. As explained by Walter Williams and Thomas Sowell, President Roosevelt’s policies are increasingly understood to have had a negative impact on the American economy. …what should have been a routine or even serious recession became the Great Depression. In other words, my assessment is that Obama is a Mini-Me version of FDR, which is a lot better (or, to be more accurate, less worse) than the real thing. To be sure, Obama wants higher tax rates, and he has expanded government control over the economy. And the main achievement of his first year was the so-called stimulus, which was based on the same Keynesian theory that a nation can become richer by switching money from one pocket to another. …Obama did get his health plan through Congress, but its costs, fortunately, pale in comparison to Social Security and its $30 trillion long-run deficit. And the Dodd-Frank bailout bill is peanuts compared to all the intervention of Roosevelt’s New Deal. In other words, Obama’s policies have nudged the nation in the wrong direction and slowed economic growth. FDR, by contrast, dramatically expanded the burden of government and managed to keep us in a depression for a decade. So thank goodness Barack Obama is no Franklin Roosevelt. The last sentence of the excerpt is a perfect summary of my remarks. I think Obama’s policies have been bad for the economy, but he has done far less damage than FDR because his policy mistakes have been much smaller. On the other hand, subsequent presidents did create that massive entitlement state and Obama added another straw to the camel’s back with Obamacare. And he is rigidly opposed to the entitlement reforms that would save America from becoming another Greece. So maybe I didn’t give him enough credit for being as bad as FDR. P.S. 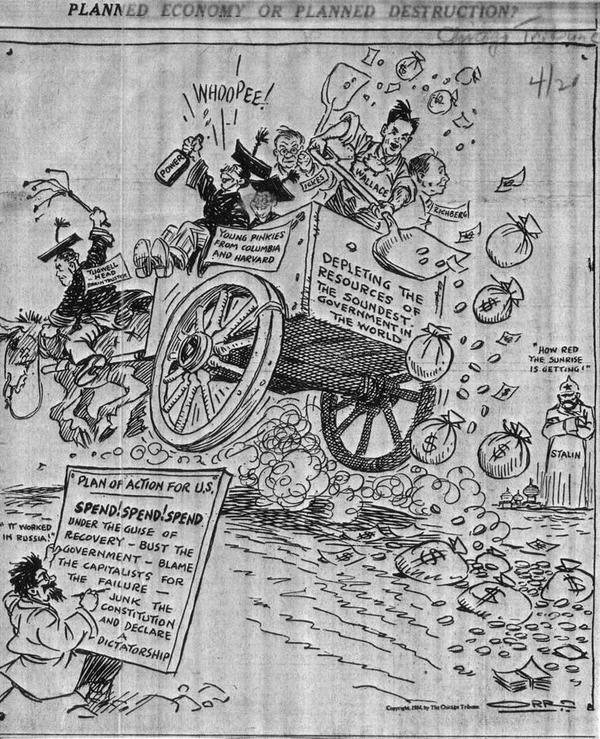 Here’s some 1930s economic humor, and it still applies today. And I also found this cartoon online. 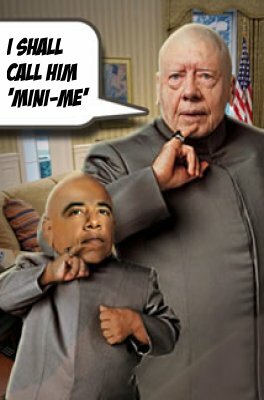 And here’s a good Mini-Me image involving Jimmy Carter. I wasn’t able to find one of Obama and FDR. If anybody has the skill to create such an image, please send it my way. P.P.S. The symposium also features an excellent contribution from Professor Lee Ohanian of UCLA. And from the left, it’s interesting to see that Dean Baker of the Center for Economic and Policy Research basically agrees with me. But only in the sense that he also says Obama is a junior-sized version of FDR. Dean actually thinks Obama should have embraced his inner-FDR and wasted even more money on an even bigger so-called stimulus.